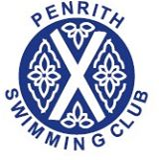 PENRITH Swimming Club youngsters were involved in a nailbiting conclusion to the Diddy League B final at Workington when they were beaten into second place in the last race of the day. Although they arrived at Saturday’s event short on practice, the town team, all of whose swimmers were aged nine to 11, took an early nine-point lead over closest rivals Barrow. But once past the halfway point of the gala, Barrow began to fight back and were two points ahead with a quarter of the event still remaining. This meant the tie had to be decided in the last race. Despite great show by the Penrith team, they missed out on top spot by one point. Barrow finished on 170 points with Penrith scoring 169. Club chairman Ian White hailed a “supreme” performance but said their inability to field two teams in the nine-year-old boys’ relay cost them dear. Mr. White said: “We won 16 out of a total of 44 races and two years ago we were struggling to win a single race,” he said.